One of the best parts of what we do is hearing about all the exciting places our stoves get to. 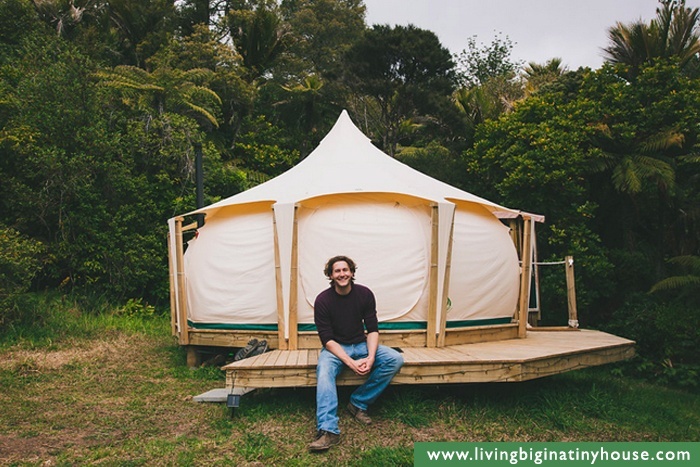 We recently sent a Traveller Stove out to New Zealand to be fitted in a lovely Lotus Belle tent that's to be lived in while the owner builds himself a tiny house. The new owner is Bryce of Living Big in a Tiny House, a great blog about getting off-grid with lots of advice on building and living in a tiny house. 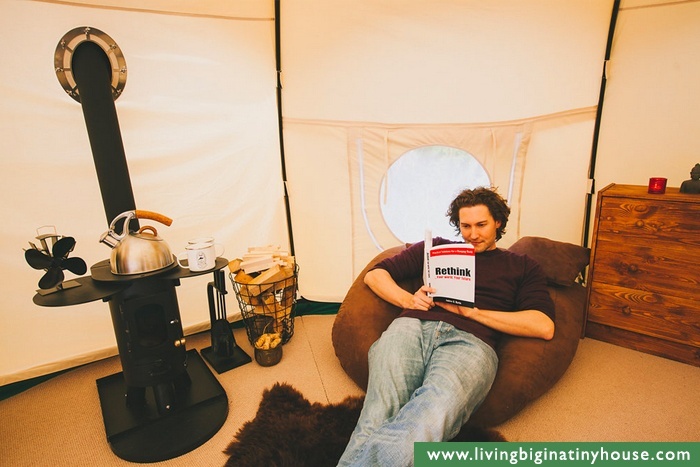 Bryce has posted a great video of the Traveller Stove in his Lotus Belle tent. If you've ever considered leaving the rent rat race and getting off-grid, this video will make you want to do it! You can read all about his setup here. The Traveller Stove is being used to heat the tent as well as providing cooking capabilities. If you'd like more information on putting a stove in your tent or tiny house, feel free to send us an email at info@anevay.co.uk.